For all the Anthony DeSclafani and Chase Anderson love I’m getting in my inbox and Twitter feed, there’s equal parts consternation when it comes to Drew Hutchison and Shane Greene. Rightfully so. The point with the deep sleepers is to hit the lottery, but that holds a hidden second moment, just as important as the first: cutting bait before it’s too late. Have we reached that moment with the two early season duds? First, it’s tempting to see every pitcher through the new stats on the website. Shane Greene is top 15 in Soft%! Anthony DeSclafani is top 20! Drew Hutchison is almost exactly league average in soft, medium, and hard contact allowed! First of all, we don’t know how quickly these stabilize. They are ball in play stats, but probably more subjective than ground balls and fly balls, which are tough enough themselves to classify. The range between ground ball stabilization and line drive stabilization, though, is huge — we’re basically saying that Soft% could be useful anywhere from 105 balls in play (or sometime in the next couple of weeks), or 2026 balls in play (years from now). Secondly, the year to year correlation on Soft% is not incredible. At about .344 between 2002 and 2014 (minimum 100 pitches thrown), Soft% is about as sticky year to year as ERA-… or Complete Games. Lastly, Hard% had virtually no correlation to Line Drive% (-0.00924 r), which is just super strange, even if homers aren’t considered line drives. Hard% allowed had a fairly small relationship to BABIP allowed, too (0.130442 r). So, these are interesting stats, but unsure how much of an anchor they should provide us in the coming season. The problem in Hutchison’s case is that there’s very little to recommend him among our traditional pitching peripherals. His strikeout minus walk rate (7.6%) is way below average (~12%) and that’s one of the best in-season predictors. He’s faced enough batters that his current strikeout rate (15.9% / 6.6 K9) is actually more signal than noise, and we haven’t even gotten to the home runs yet. Ah the home runs. If you wanted to reach for good news for Hutchison, it’s that he’s thrown 80 changeups and hasn’t given up a homer yet. He’s given up one on a sinker, three on four-seamers and one on a slider, but none on a changeup, and last year the change was the most homer-happy pitch. He’s still getting good whiffs on the slider (16%), ok whiffs on the change (11%) and four-seam (7.5%). The s(t)inker hasn’t gotten a whiff yet this year and looks like a problem. Could he just ditch the sinker and have more success? Maybe. Focusing on the faster four-seamer would help him with the slight velocity loss, and maybe help him avoid a homer or two. He might get more whiffs by using the four-seamer to change eye levels, too. Course if you believe the PITCHf/x classifications, he’s already given up on the two-seamer. And this is where we are. Hutchison still has three good pitches, and above-average velocity, but nothing stands out that makes him a great buy-low right now either. He should be able to corral homers somewhat, and maybe get better results on batted balls, particularly since people aren’t hitting him harder than the league’s average right now. But even with regression there, without a significant surge in whiff and strikeout rates, he’s not showing the stuff he needs to show in order to be a mixed league starter. And it’s hard to say where those whiffs even went. Everything’s just a little worse this year, and the combination is a lot worse. 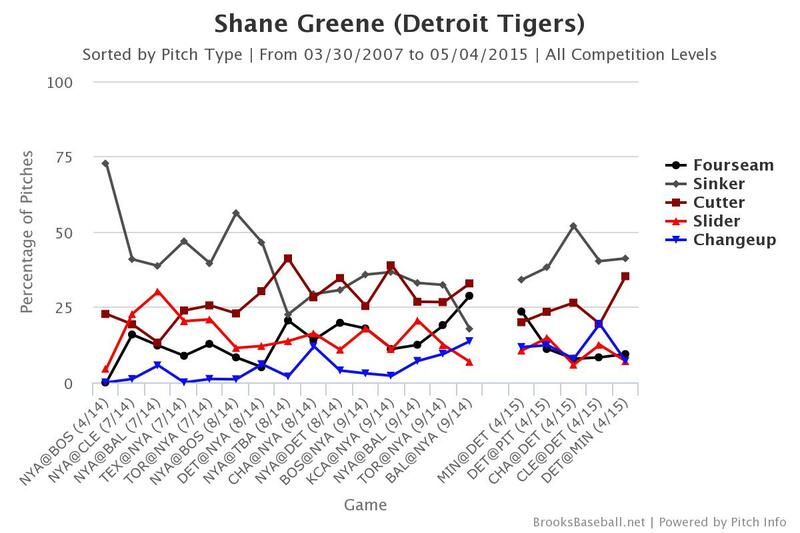 For Shane Greene, things are a little different. For one, he’s changed his pitching mix significantly. He’s more than doubled his changeup usage, up to 11% from 5% last year. That’s good and bad news, maybe. To some extent, if you’re looking for the missing whiffs and strikeouts, it’s tempting to look here. Maybe he turfed whiffy breaking balls for a mediocre change? Except that the changeup has a 15% whiff rate this year, all thanks to the great shape (+2 inches drop over average, +3 inches fade) and maybe some tinkering with the grip. So now Greene has an above-average change and cutter (15% whiffs), with a representative slider (12%) that has more drop this year and is acting more like a curveball. That’s a fine arsenal. Greene averaged 93-94 last year with the sinker. This year, he’s more 91-93. 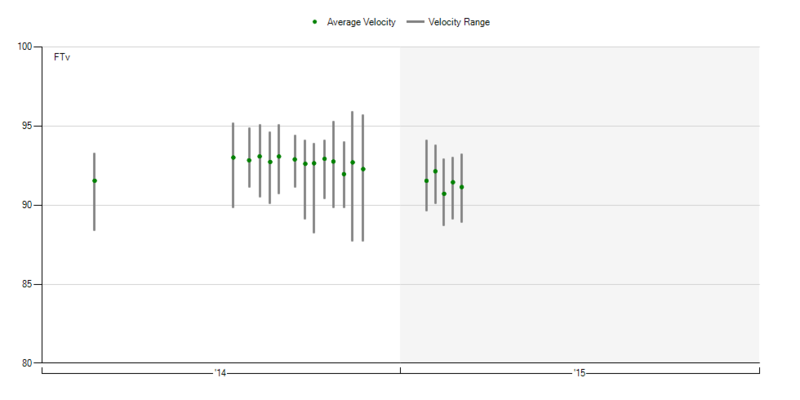 Of course, there were two bad velocity games in the middle of three better ones. If you look at where he was late last year and then compare it to his better velocity games this year, he really only dropped from averaging in the low 93s to averaging in the mid 92s. It’s not such a big deal, and it would be surprising if it was the culprit here, especially given research that there’s generally a plateau between 89-93 mph when it comes to swinging strikes on fastballs. Perhaps what’s really going on here is that he’s throwing the sinker too much. Take a look at his mix thanks to BrooksBaseball, and keep in mind that his last start is the first time this year he’s had a good strikeout tally. At his best, Greene will throw you a sinker, a four-seam, and a cutter at about equal rates. If he did that and mixed in changeups and sliders to batters of differing hands, we could see the strikeout rate tick back up again. At least his command and homer rates are in a good place, and he still has good velocity to go with two/three good secondary pitches. I’m holding in mixed leagues, and hoping he throws more cutters and doesn’t dip below 92 on the sinker for good. Lastly, it looks like Tim Lincecum is commanding the fastball. Well, it looks that way. His zone% is at a career high and his walk rate is near a career low. Given he can still get whiffs (if not strikeouts), this could be an exciting thing. Given what we know about Lincecum’s command problems in the past, this isn’t very hopeful. Look at his career-low fastball percentage, and you’re painting the picture of a pitcher of largely reduced stuff, throwing for the middle of the zone in an effort to get ahead and have a chance to throw his splitter and get a whiff. Doesn’t seem like a sustainable approach. Three pitchers, and three different basic ways to attack their early season issues. Given how complicated pitching is, it’s not surprising, maybe, to find so many methods of analysis. The important thing is to look at all of them in each case and try to sum it up somehow. We hoped you liked reading The Change: Hutchison, Greene, Lincecum, Soft% and Edge% by Eno Sarris! When I look at Hutchisons pitchfx page I get dif. SwStr%(whiff?) numbers on his charts than your article FA, CH and SL. The only similar numbers were the slider, you noted 16% and his pitchfx page says 15.5%. Am I looking in the wrong spot when it comes to the peripherals? Thanks! 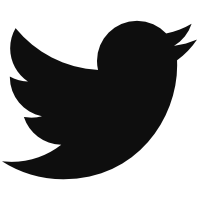 Love your stuff! Often use Brooks Baseball, should have noted that!